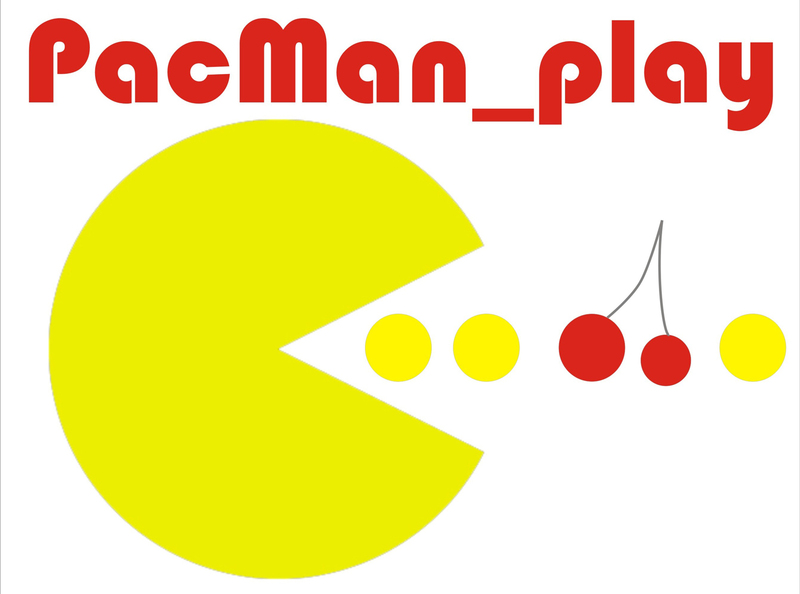 Pac_man is the icon of the virtual world which has destroyed and changed the history, tradition, and custom of the game. 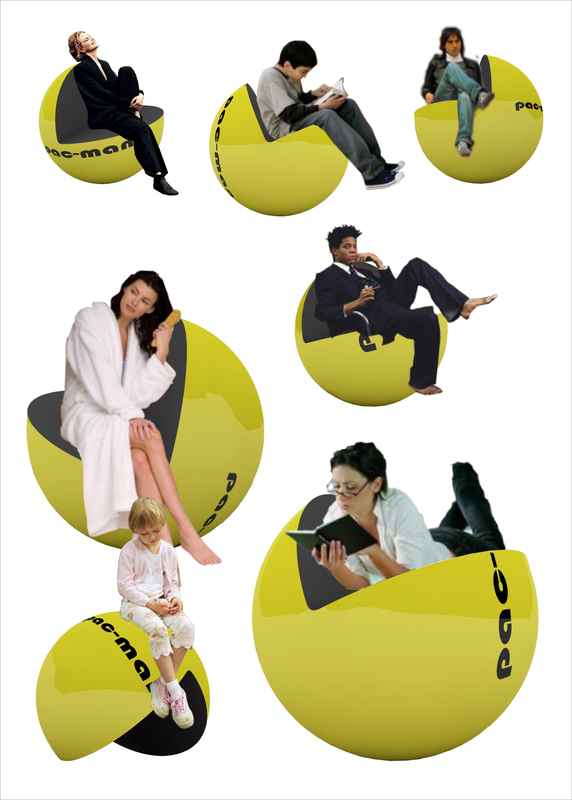 The greedy yellow sphere lets leisure and free time to penetrate into the web network, opens the digital era, catches and wolfs down this new digital system. 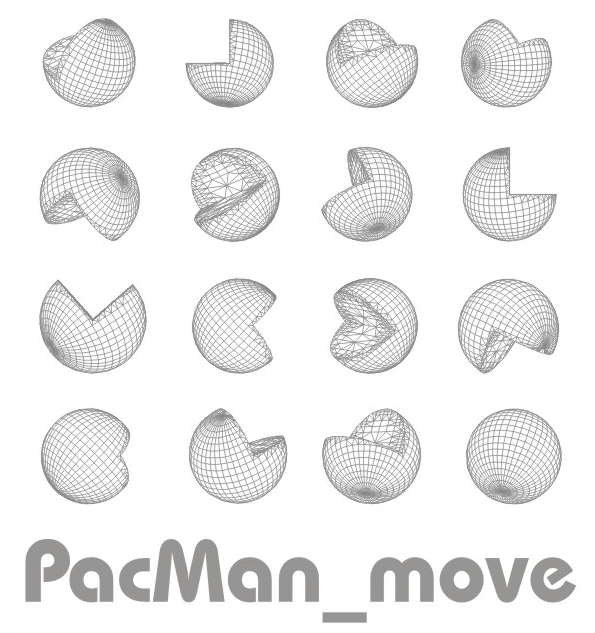 Pac_man has been of great interest for a new generation, it has brought the society from a closed and trapped world to the cybernetic space; a flexible, infinite and changing world. 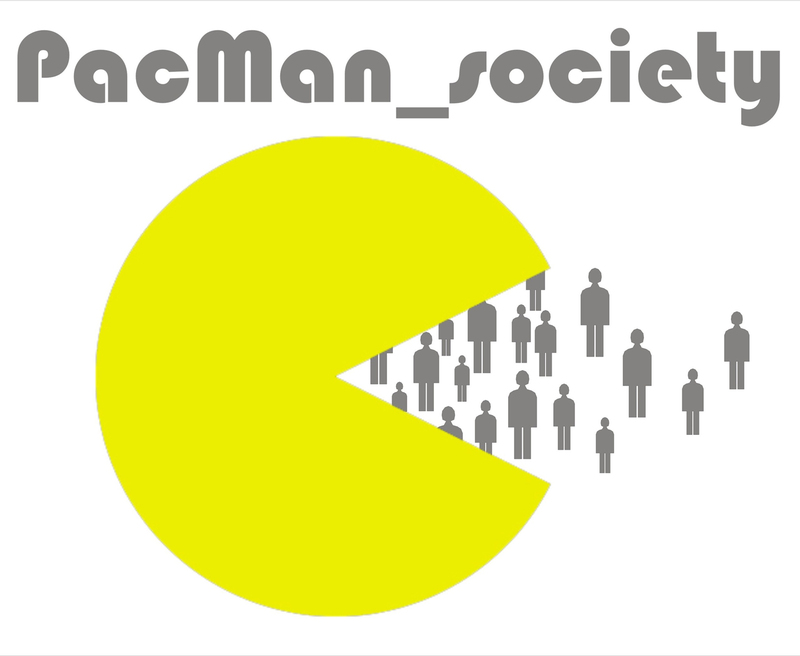 Pac_man got the society ready for the computer technology revolution leading the same society toward the discovery of an unknown maze. 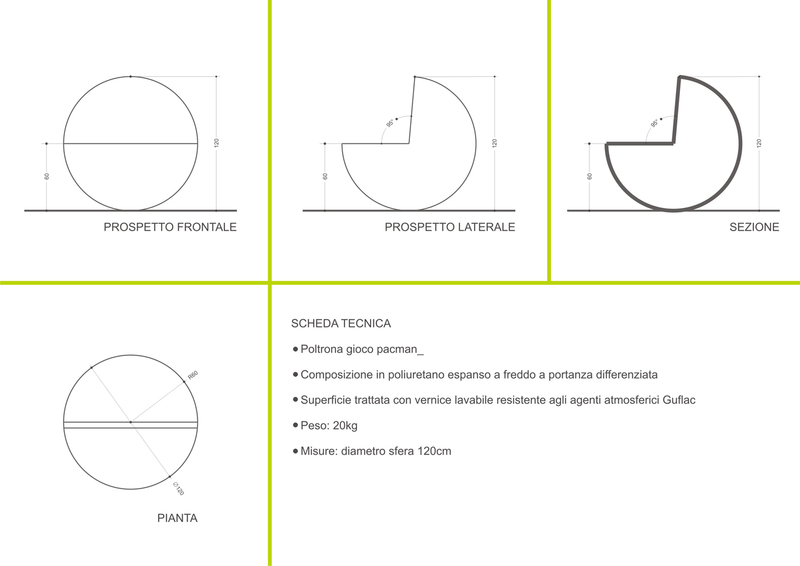 This is what its icon wants to represent by riding among the tangles of urban and domestic space. 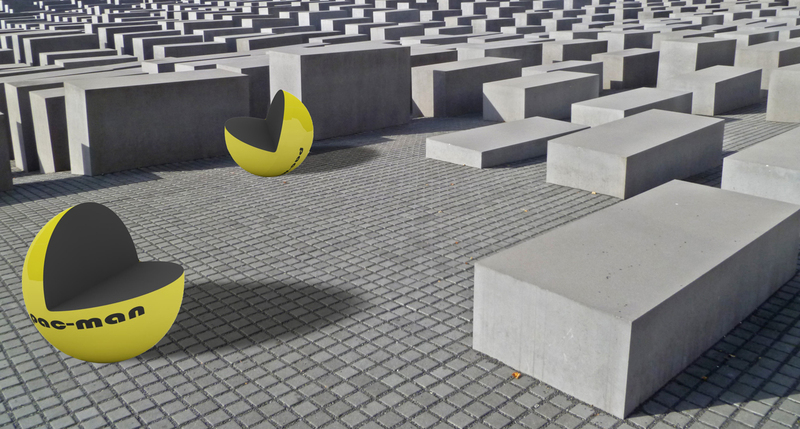 Pac_man_ is something which seems to have an inner soul of quickness. It rolls around until finds its quiet position to house the rest of a contemporaneous society which is always hectic, restless, and stressed out. Pac_man_ fed him-self with man, charge him-self with man e then resume its activity. This is its task: to give back silence, rest, and idle to an ever walking collectivity. A lot of rest recharge your-self and go! !